Yep, it is amazing! The ginger and soy is a great flavour combination. Forewarning…the oil splattered a bit onto the broiler as it got hot which then smoked and set ofd the fire alarm, but other than that, all my coworkers are jealous of the smells coming from my leftovers! And they should be! Thanks for a great recipe! this was wonderful, I only wish I had made more so I would have had left overs. Even my picky eater had 2nd helpings. I’m very tempted to try this tonight. Yes, going to buy some salmon on the way home from work! I liked this, although I did not make the glaze. Instead, I took the marinate and cooked it down with a tiny bit of cornstarch and the green onions. I added about a tbsp more soy sauce. 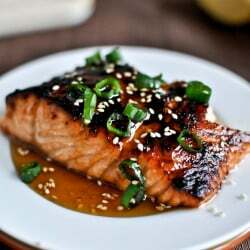 I served the salmon with the sauce on top, and then sprinkled with the toasted sesame seeds. It turned out delicious. Salmons my favorite fish, a mush try for me. Cheers. My husband does all the cooking due to it being his passion. But I fixed this meal along with cream cheese wontons for his birthday and he along with myself was pleasantly surprised. He said that the salmon was as good if not better than any he has had in restaurants or has made himself. I must agree…not because I made it but because this recipe is simply THE BOMB. It is a Must try and I’m sure it will find a place in your recipe files just like it has for us. We love salmon. This recipe looks delicious. I am adding it to my menu plan. 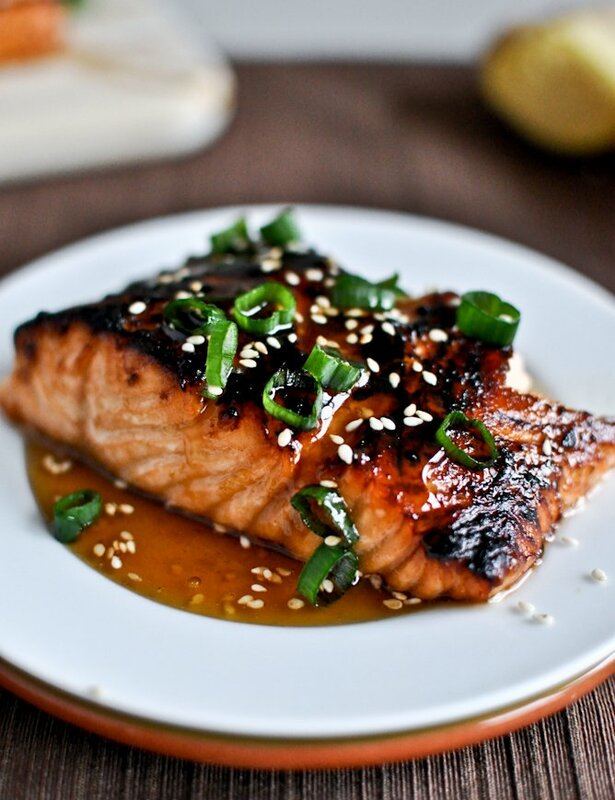 This is my new favorite salmon recipe! The glaze and marinade took the flavor up about ten notches! My boyfriend and I devoured it all! 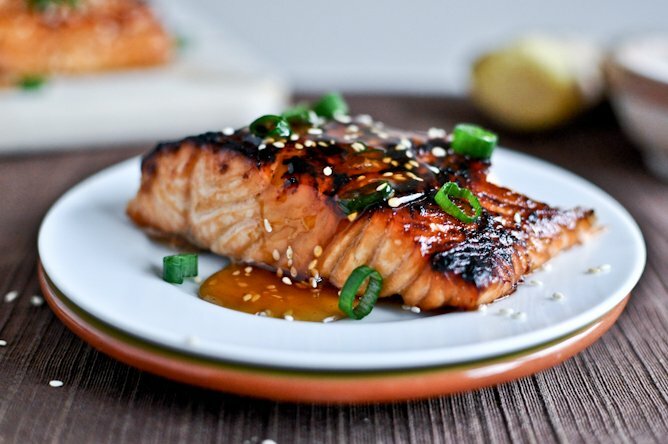 I hate the strong taste of salmon, and never eat it but I constantly read how good it is for you, so I am going to try this recipe. I love Asian flavors, and hope this will be the ticket to enjoying this fish. All these comments are encouraging. 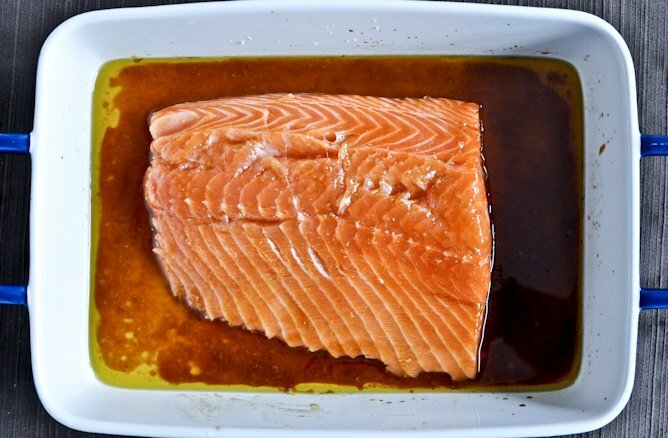 Im not a huge fish fan, but recipe is to die for, I made it for Good Friday last year and not only everyone loved it but for this year I already have my kids asking to make it again. Thank you for sharing this recipe! I made this tonight and it’s TO. DIE. FOR!! 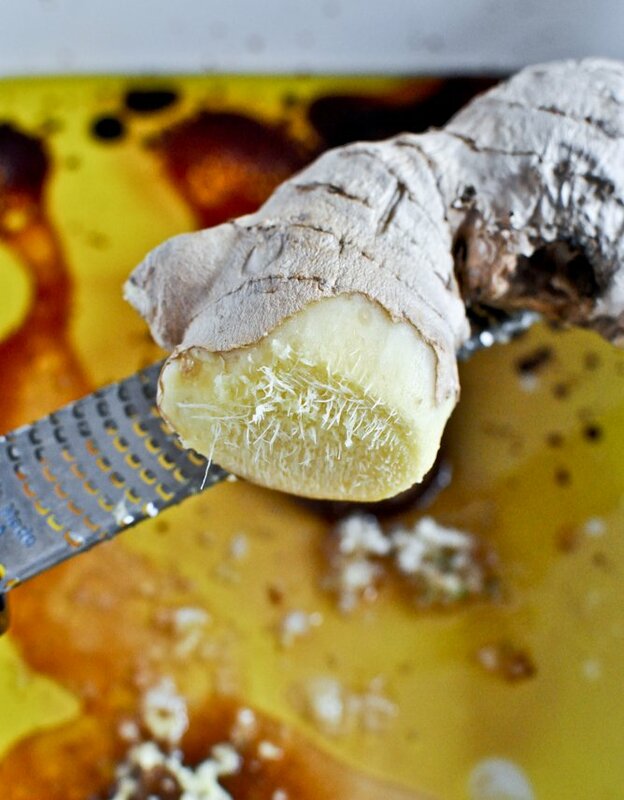 I didn’t have any fresh ginger, but used doTerra ginger oil instead and it was fabulous! Made this tonight! UNBELIEVABLE!!!! Thank you so much!!! 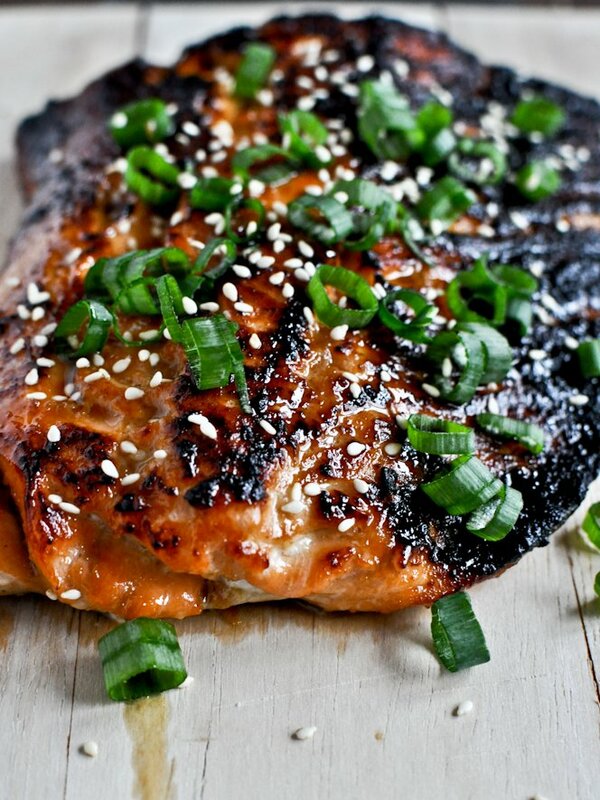 Do you think the Salmon Glaze would be good on fresh King Mackerel?